As part of a Scottish Government investment in our infrastructure, Network Rail is delivering work to electrify the railway across central Scotland. 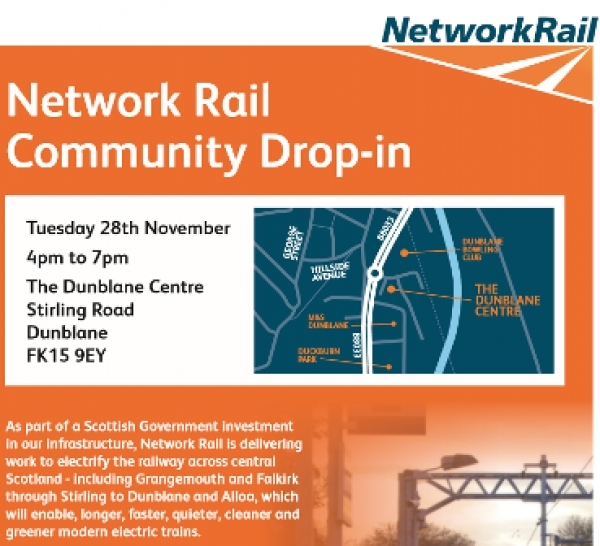 The next phase is the electrification of the railway from Grangemouth and Falkirk, through Stirling to Alloa and Dunblane will enable, longer, faster, quieter, cleaner and greener modern electric trains. The benefits will be significant including a 15% reduction in journey time between Stirling and Edinburgh/Glasgow and up to 20% more capacity on morning and evening peak services to Glasgow and Edinburgh. Prior to installing the masts that will carry the overhead wires, we need to install piles and concrete foundations in the ground to provide bases for the masts that will carry the overhead line electrification wires. Shifts and times for these works between KippenrossTunnel and Dunblane Station are detailed below.